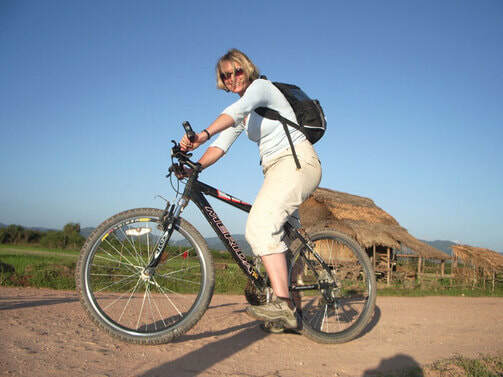 One, two or 3 days cycling from Luang Namtha to Muang Sing - Trekking in Luang Namtha, Laos - Hiking, Kayaking, Cycling, Village Tours - Discovering Laos! Amazing cycling tours with a dedicated English speaking guide that combines the best of these areas! Note: The program is different if you choose either the 1, 2 or 3 days option. Please contact us to get more information. After meeting at the Discovering Laos office for 9:00am we set off on or cycling tour. We cycle through the morning, taking time to marvel at the beauty of the landscape, as we pass by rivers, mountains, and picturesque minority villages. Having spent time in a couple of minority villages, meeting the locals and learning about their culture, we make our way to the beautiful Pha Nguang waterfall for a delicious lunch time picnic. *If you have chosen the 1 Day Tour it will end here after a walk around the Muang Sing city centre. 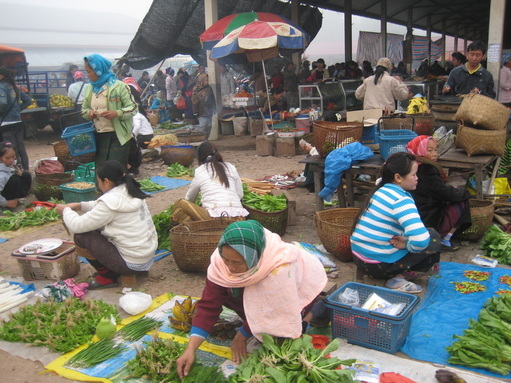 ​A chance to get acquainted with Muang Sing city center. Explore the area at your leisure by bicycle or on foot, before enjoying dinner at one of the many authentic Lao restaurants. Later in the evening, relax with a drink and socialize with the locals before sleeping at a local guesthouse. We pedal around to the Akha, Tai Lue and Yao villages and soak up information about their culture from our expert guide. After we've finished our cultural tour of the minority villages it's lunch time! *If you have chosen the 2 day tour then this is the end of the tour. We take ourselves back on board a tuk-tuk to the office. We spend the rest of the afternoon exploring the surrounding areas of Muang Sing before heading back to the city centre. ​Another relaxing or entertaining evening in Muang Sing. You decide what we do! Wake up around 8:00am to a delicious Lao-style breakfast. B) cycling the main highways on a course heading back to Luang Namtha. Depending on the option taken we have lunch at a traditional Lao restaurant. arranged to transport us back to Luang Namtha. Note: The program is different if you choose either the 1, 2 or 3 days option, each tour is customised. Please contact us to get more information. For 1-day Cycling Tour to Muang Sing, the price ranges from $34/person (USD) for 8+ Pax to $123/person (USD) for 1 Pax. For 2-day Cycling Tour to Muang Sing, the price ranges from $81/person (USD) for 8+ Pax to $241/person (USD) for 1 Pax. 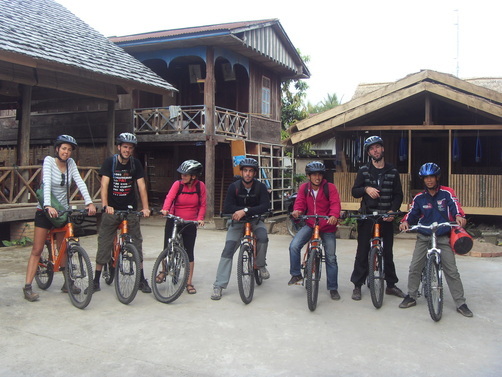 For 3-day Cycling Tour to Muang Sing, the price ranges from $129/person (USD) for 8+ Pax to $376/person (USD) for 1 Pax.